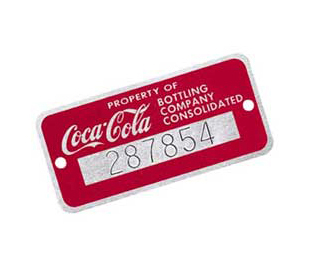 • Standard metal tags are available in Aluminum, Stainless Steel, and Brass. These metal tags are the most economical tags we offer and we often provide a quick turnaround. We can customize any of our metal tags with your text or logo, or we can provide them blank if you prefer. •Custom engraved or stamped metal tags can be processed in quantities as small as 100 pieces at very reasonable prices. 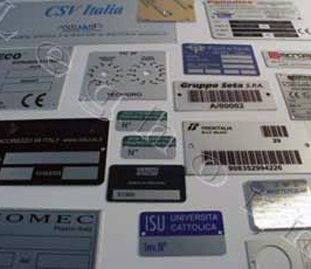 While we are happy to process as few as 100 pieces, we are very capable of processing several thousand tags at a time. • Standard dimensionscan bemodified on customer’s request. • Sequenced numbering up to 15 digits. • For special orders, logo printing in relief. ***anodized aluminum as the most durable aluminum substrate, citing superior abrasion, heat and sunlight resistance – making it an excellent material for your metal labels.LEGHORN’s fabricating services and printing capabilities offer a variety of options for your labels.From prototypes and one-of-a-kind applications to larger production requirements, LEGHORN can meet all your metal label requirements.